Welcome to “CASA LEONE” hotel, an authentically restored, historic Venetian villa built in the 15th century, situated at the romantic Venetian port of Chania Crete. Its original owners were Venetians descended from a well-known family of musicians named Leone, from whom our hotel has taken its name. Casa Leone Venetian residence has been converted into a classy and romantic boutique hotel located into the historical old town of Chania. This beautiful Venetian quarter is a web of atmospherics streets that tumble onto a magnificent harbor with its 15th century light house “Faros”. Pick a room that best suits your taste! Room that overlooks the unique Venetian harbour and the lighthouse. Not just a place to stay... an experience to remember! After much work and with painstaking care, under the oversight of the Archaeological Service, Casa Leone residence has been converted into a classy and romantic boutique hotel in 1999. While modern conveniences and comforts have been added to Casa Leone hotel, it still retained the old wolrd charm that will take you back in earlier times to the romantic atmosphere of the Venetian period. 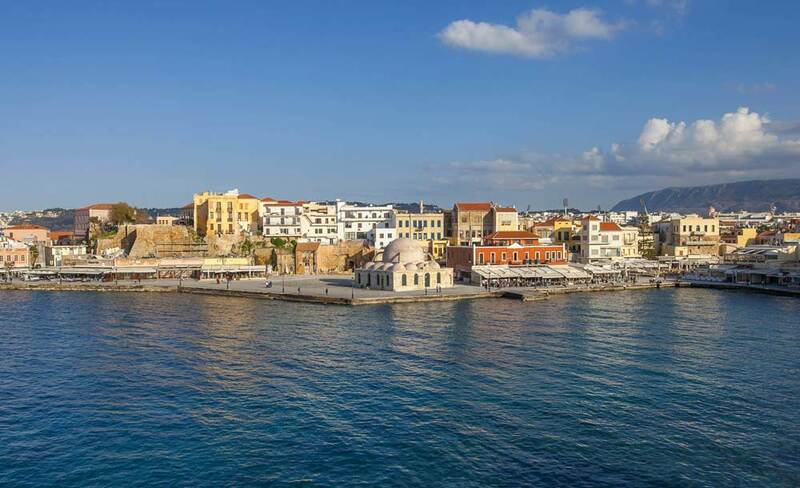 The cultural background of Chania is very rich, first of all due to town’s long history and its interaction with many diverse civilizations in the past. Sights as the Mosque of the “janissaries” (built 17th century) the Great “Arsenal”, the minaret of Achmet Aga and many other remnants of Turkish rules add to Chania an exotic charm. The hotel is charming the service is Excellent, friendly and makes it all seem like home. Virginia and Marie are perfect hosts, cooking us delicious home made breakfasts from local produce, a different dish every day ( yummy ). The hotel sits on the harbour in Charnos, very picturesque and beautiful views in every direction. Our room was number 5, spacious with a very comfortable 4 poster bed. A terrace with a perfect view of the harbour and Charnos. It is exceptionally clean with fresh bedding and towels each day. It was a most relaxing, warm , charming hotel that earns it’s 5 star rating. Best holiday we have had in a very long time. We shall be going back and recommend it to everyone. 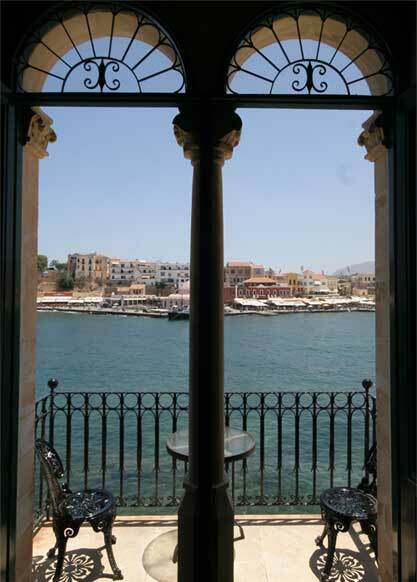 We spent a week in Chania staying at the Casa Leone and could not have picked a better hotel. Our thanks go to Nicholas and Anna, the owners, who stayed late to welcome us after our flight was delayed, this was only a foretaste of the excellent and friendly team that runs the hotel. We must mention Virginia and Maria who made a significant contribution to our wonderful experience whilst staying at Casa Leone. We felt so well looked after by everyone. Our room had a balcony looking directly across the harbour and the view could not have been better. Breakfasts were very generous and beautifully presented. We had a wonderful stay at the hotel and the final touch was a parting gift from Nicholas and Anna. We highly recommend the Casa Leone. The Maravelakis family, owners of Casa Leone Boutique Hotel at Chania Old Harbour with its years of experience, have extended their hospitality services by creating a new hotel in the Kato Stalos area, Casa Leone Suites and guarrantee the quality of the services.